* World's leading maths program. * Created by education experts. 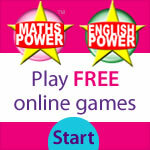 * Complete syllabus maths learning. * Instant reports and feedback! * Helps kids enjoy mathematics!! * Simple to use for kids & parents! * More effective than game or tutor. * Quality AND affordable education. * Around just $2 per lesson! * Demystifies grammar & literacy. * Online or software learning. * Years 1 to 9. * Great for ESL students and adults. How to spell his/her own name. - The alphabet, letters and numbers. - Science kits and toys.